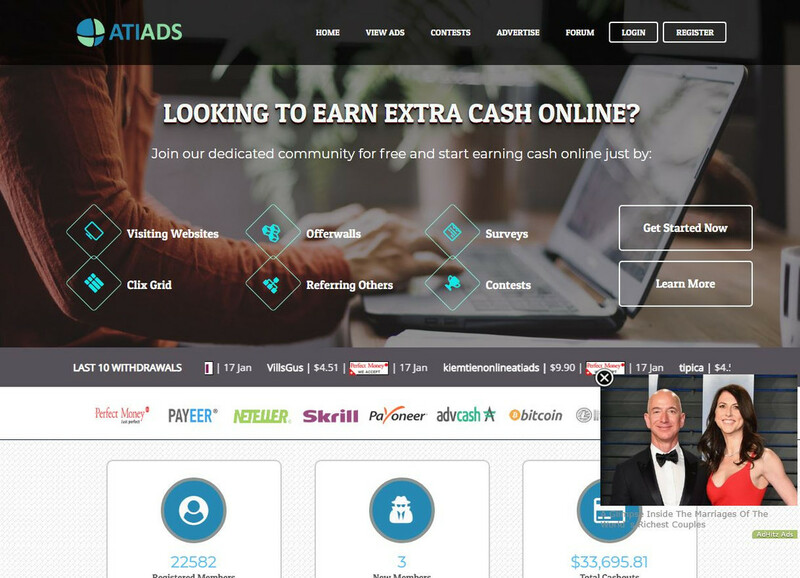 Review of Atiads : Scam or legit ? 7 unique visitors sent by NBR on last 30 days. Latest status of NBR is LEGIT and LEGAL COMPANY. Atifraza open new site: Ladderclix!Be careful and never invest!!! Atiads turns to closed status. Atiads turns to scam status. same scam as aticlix, admin atif! Arigroup is legit still???!!! ?ofcurse no! Atiads turns to doubtful status. Admin has used a fake payment paid to me like at Aticlix. You can see my fake payment on proof of Atiads amount 7.87$. In fact, no payment was been paid to me in my Perfectmoney Account. I am waiting for a week and i check my PM Acc every days but nothing change. While in Atigroup sites fake payments still show on system. I see my payment on that but i do not receive them. I think admin is honest. During this difficult time he should risk his own pocket money to pay the members to help Atigroup continue to function well. Maybe members will trust Atigroup more and continue investing. Because at this time Atigoup is No. 1 on PTC system. SCAM, DO NOT PAY, FALSE TESTS, I ELIMINATE THE FORUM, THE PAYMENTS MADE ARE FALSE, ADMIN ATIF RAZA SCAMMER, GROUP ATI IS A TOTAL SCAM, SCAM !!! my peyment turn to complete and not com to my pm account .